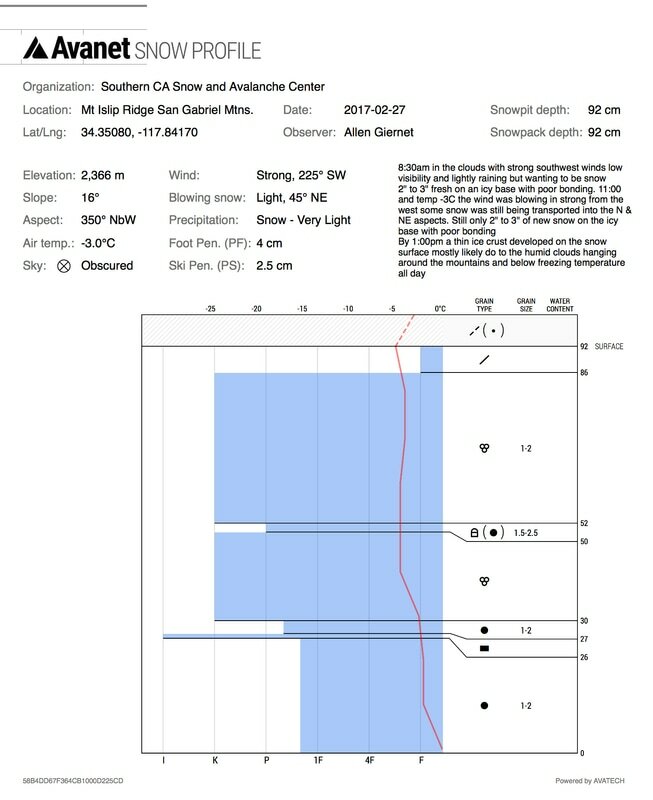 Snowpack Report Forecast 2-27-17 Mt. Islip SG Mtns. Mt Islip San Gabriel Mtns. 8:30am in the clouds with strong southwest winds low visibility and lightly raining but wanting to be snow. Skinned from car up summer trail on 2" to 3" of fresh snow on an icy but slightly soft base roughly 8" to 18" deep. At the first major drainage crossing. Snow was about 2" to 3" fresh on an icy base with poor bonding. Traversing across slope on split skis was very difficult after several hundred feet the boards went on the packs and we were crampons. The trail was and we went straight up through soft snow that became deeper as we climbed but was still not bonding to old snow. We gained the ridge and continued up towards the false summit. Snow varied considerably from soft wind drifted powder to patches of firn ice. Throughout the climb up the N aspect wind was quiet. At the false summit plateau 11:00 and temp -3C the wind was blowing in strong from the west some snow was still being transported into the N & NE aspects. Still only 2" to 3" of new snow on the icy base with poor bonding. Continuing up the ridge we began to see small winds drifted patches up to 24" deep. Snow had steadily been blown into the N aspects. Leaving what appears to be in many places smooth creamy powder runs. The NE aspects were being favored by the transported snow. 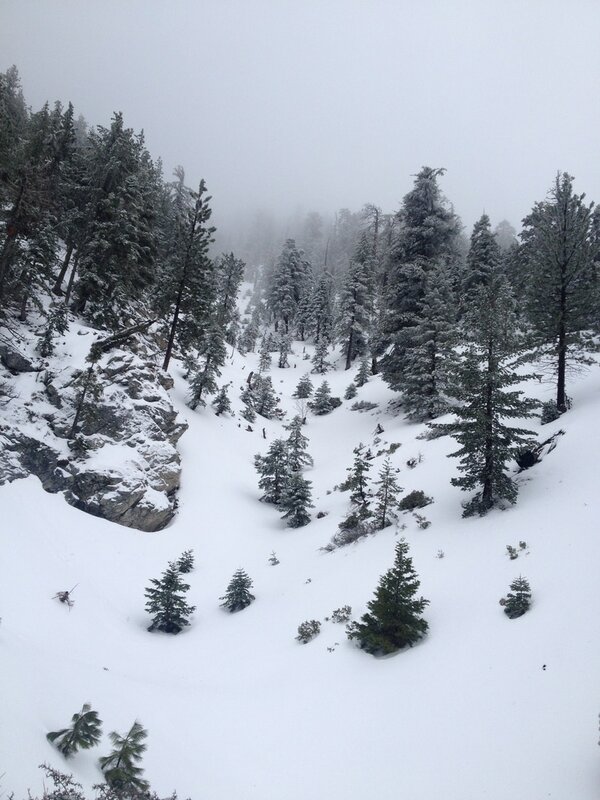 As we got above 8,000' around 12:15 it began to snow lightly mixed with wind transported snow. At this elevation we saw more consistent wind loading along the N aspect of the ridge and down into the slope. Testing these wind pillows produced no results. By 1:00pm a thin ice crust developed on the snow surface mostly likely do to the humid clouds hanging around the mountains and below freezing temperature all day. 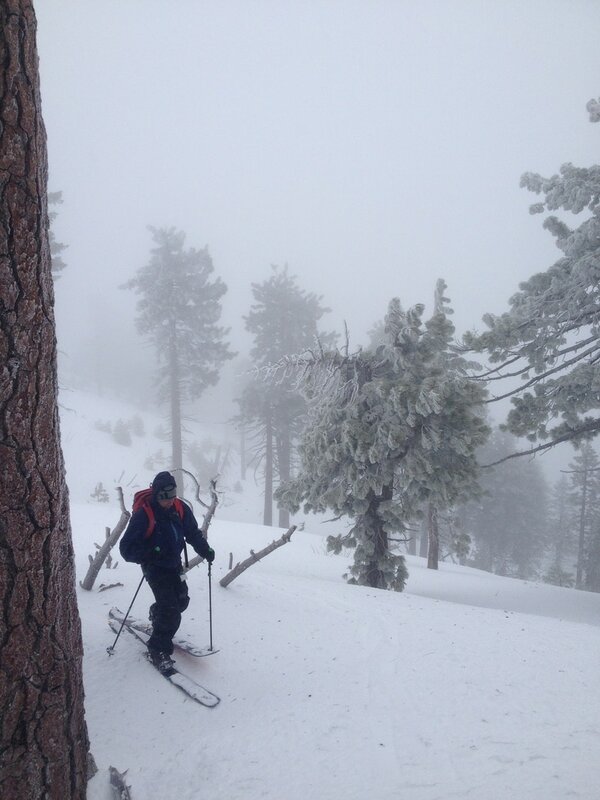 Skinning was challenging due to the poor bonding of the new snow and wind drifts to the icy old snow. Solid skinning skills would be necessary otherwise using crampons would be advised. The ride down was fun though the icy thin crust plagued the snow all the way to the road. This was not present in the skin up till we neared the summit.